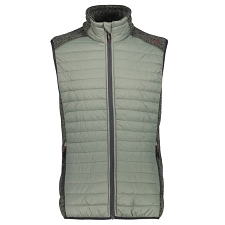 An easy−wearing, bulk−free vest that thrives as urban outerwear or layered in the backcountry under a shell. 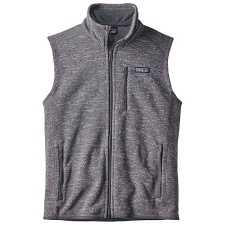 Made of a knitted, heathered polyester fleece dyed with a low−impact process that significantly reduces the use of dyestuffs, energy and water compared to conventional dyeing methods. 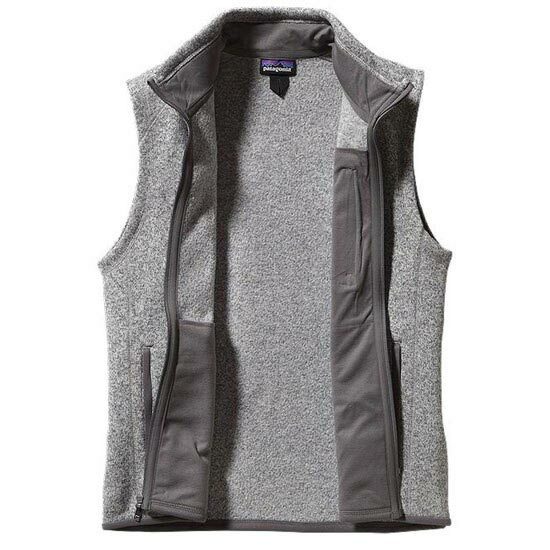 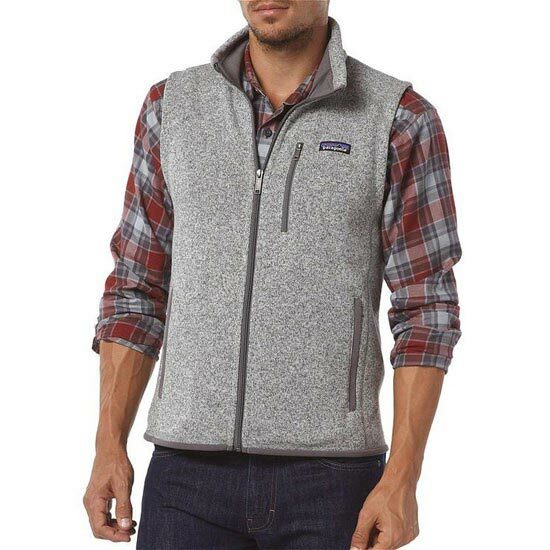 Soft, highly insulative and durable, this vest has a plush fleece interior that feels broken in and a resilient sweater−knit face that resembles wool. 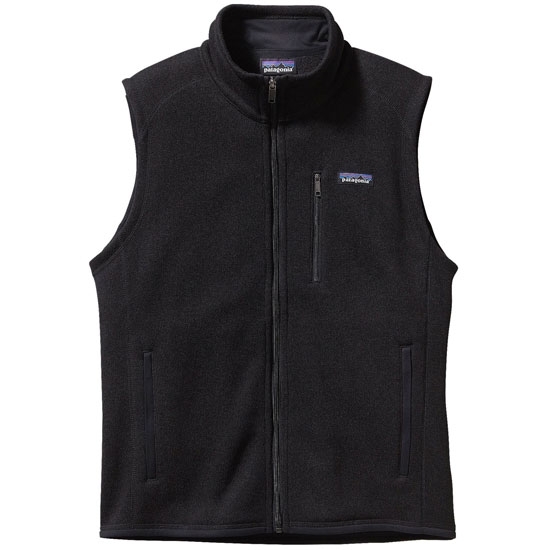 It is made of quick−drying bluesign® approved 100% polyester. 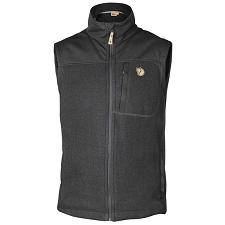 A stand−up collar warms your neck and a vertical chest pocket holds the essentials. 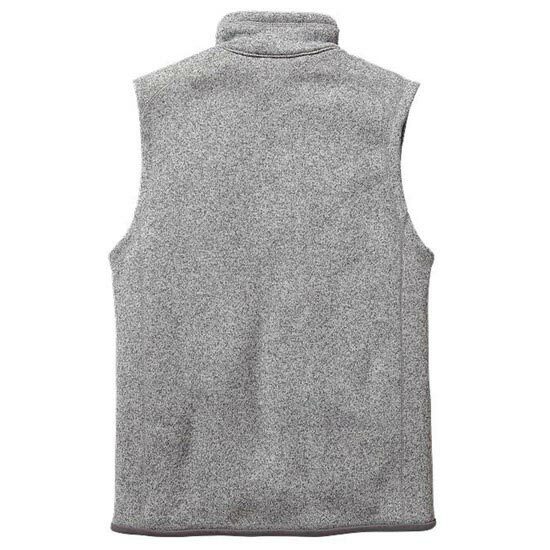 With offset shoulder seams for pack−wearing comfort and micropolyester jersey trim at the armholes, hem and back of neck. 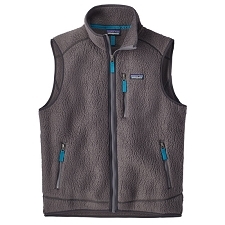 Fair Trade Certified sewing and fleece fabric is bluesign® approved. 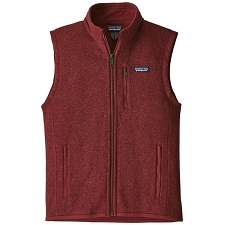 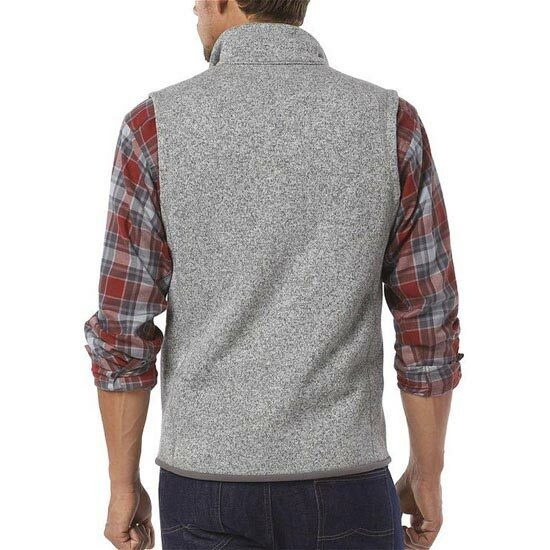 Customer Opinions "Better Sweater Vest"